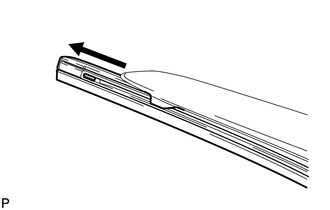 (a) Remove the holder of the front wiper blade. 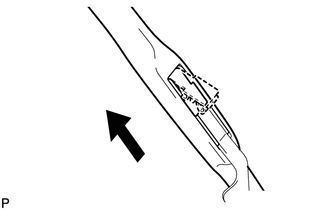 (b) Remove the front wiper blade from the front wiper arm as shown in the illustration. Do not lower the front wiper arm with the front wiper blade removed. The arm tip could damage the windshield surface. 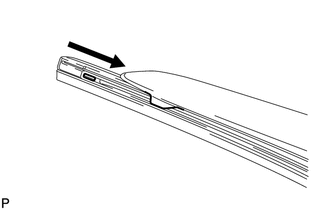 (a) Remove the wiper rubber with the wiper rubber backing plates from the front wiper blade. (b) Remove the wiper rubber from the 2 wiper rubber backing plates. (a) Install the 2 wiper rubber backing plates to the wiper rubber. 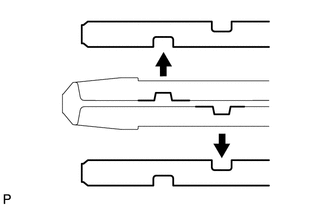 Align the protrusions on the wiper rubber with the notches in the backing plates. Align the curves of the backing plates with the curve of the glass. 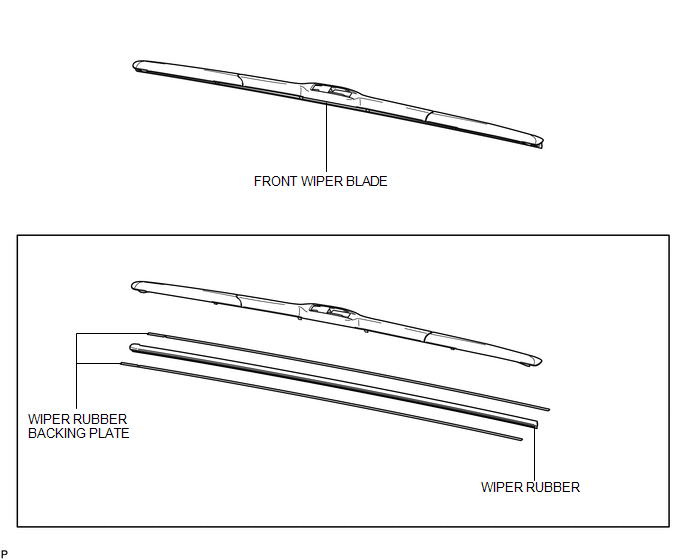 (b) Install the wiper rubber and the 2 wiper rubber backing plates to the front wiper blade with the tip of the rubber (curved end) facing the axis of the wiper arm. Firmly push the wiper rubber into the wiper blade to securely engage them. 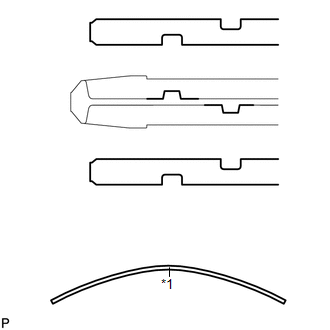 (a) Install the front wiper blade as shown in the illustration. (b) Install the holder of the front wiper blade.